It’s all in the name – but simplicity in terms of melodic and harmonic articulation (rather than any artistic paucity) is what drummer Antonio Fusco, pianist Bruno Heinen and double bassist Henrik Jensen share in Common Spaces, their new recording of mostly original trio compositions. Inspired by a late-1970s contemporary classical movement which eschewed the complexities of serialism and the avant-garde, New Simplicity Trio's collaborative purpose is perhaps not so evident from a first hearing. But the emerging clarity of their writing and subsequent improvisational conversations then begins to reveal spacial focus and group awareness, often lifted by memorable, lightly-grooving riffs. There's variety here – from the Monk-ish stomp of Antonio Fusco's Groovy, full of semitonal piano clashes and chromatic phrases, to the suspended, collective delicacy of Common Spaces; from the percussive capriciousness of Fusco in Bruno Heinen's Full Flat to the elegant though earnest searchings of Daydreamer (dedicated to the master of invention, Wayne Shorter). Jensen's Riccardo's Room positively shuffles to his own bass groove, underpinning airy, gossamer octave phrasings from Heinen; and the emotional weight of the pianist's Across the Pond (in memory of Richard Turner) is carried by the individual finesse of each player – the trio's quiet sophistication shines through in both of these pieces. A Fusco arrangement of Charles Mingus' drowsy, evergreen Goodbye Pork Pie Hat is restrained yet mischievous, the drummer's complex shapes putting fire in its belly; and the chirpy, tricky rhythms of Heinen's The Seagull paint guileful seaside imagery through cascading piano phrases and tangoing humour. A couple of stand-out tracks begin with Antonio Fusco's delightful romance, Around Milan, which glides with carefree imagination towards a bustling cityscape throng, never outstaying its near ten-minute presence; and the drummer's journeying Orient Express has at its heart a foreboding, rooted piano-octave figure to support Jensen's bass extemporisations – quite a different feel, and maybe a glimpse of this band's future potential for dramatic, themed narrative. Piano trios in different guises have endured throughout the history of jazz. New Simplicity's brief succeeds by offering accessible, original music with a spring in its step, as well as an invitation to delve more deeply into its precise construction. A pleasing burst of sunshiny and occasionally sultry summer. 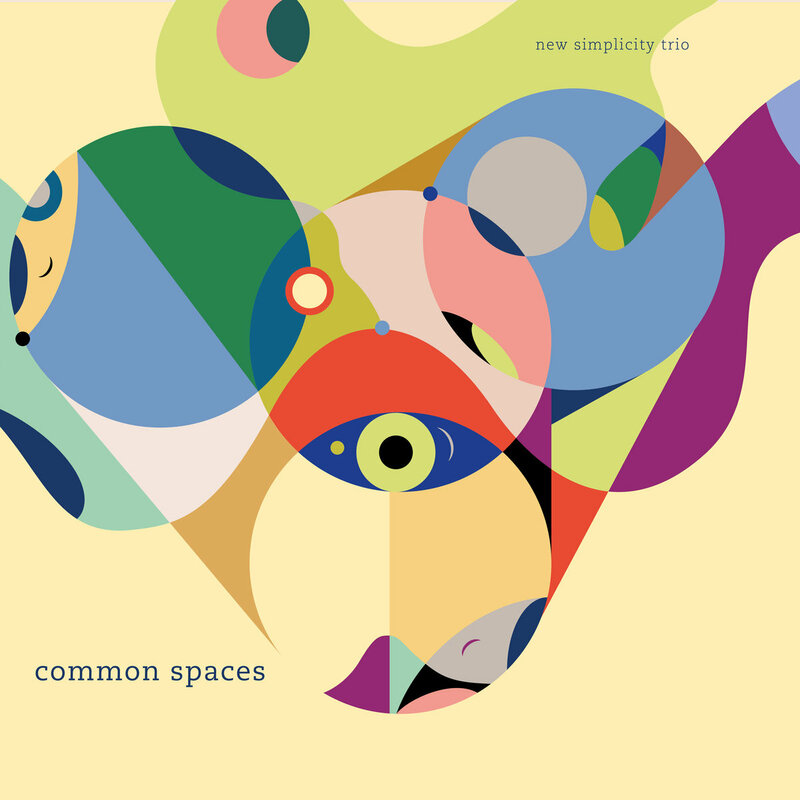 Common Spaces is released on 23 June.